I’ve now just bought the game and when i enter start playing, I get a a black screen, is it from my PC that cant handle it? Your CPU is fine, it passes the minimum requirement. There isn’t really a fix to this, upgrading graphic card is probably the only solution. Oh I knew my GPU was the problem, I will be upgrading it then. Bro you know what should you do… You should not play this game until Jan 2017. Save money and get a good Graphic card meanwhile and in the end when the time comes… You will truly enjoy this game. I will definitely do that mate. 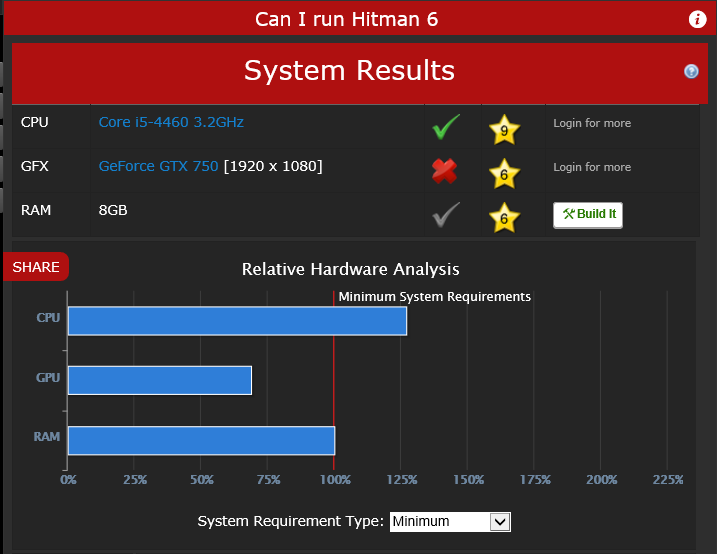 But I’ve 1 last question, Does the Nvidia Geforce 750 GTX, meet the requirements? Which 750 GTX? there are a ton of versions of that… any who if it is the simple first model then yes you can run the game but it doesn’t match the minimum graphics requirement but you still will be able to run the game. It’s the normal one, but the guy who I bought the gpu from said that Geforce 730 GT 4gb is better than Nvidia Geforce 750 GTX ( simple version ). Is that true that it’s better? Obviously it’s your call but imo, find the middle ground on when to buy & keep Hitman. There’s a HUGE laundry list of reasons not to buy it now but i think after the 3rd map is released there will be enough content to keep you happy, most of the issues with the game will be smoothed out and you’ll still get in on elusive contracts. But thats just my opinion. Btw, the 3rd map is projected to release in late May but very possible it could get delayed by a month, give or take. You will be able to run it. I would guess low fps though. Around 30fps. I would suggest you to save money to a more expensive card. When I buy electronics I buy few times but more expensive. You are more happy when you buy it and more happy in the long run. The game is not fully out yet so you’re not missing much. When comparing with same amount of memory. I wouldn’t agree completely, many AMD users have had problems. 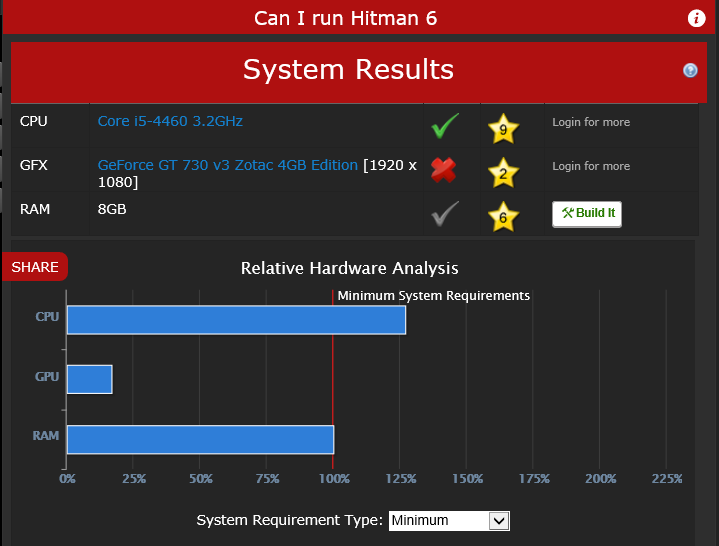 But yes, I think AMD sponsor Hitman. They have also had the campaign, buy an AMD card and get Hitman for free. 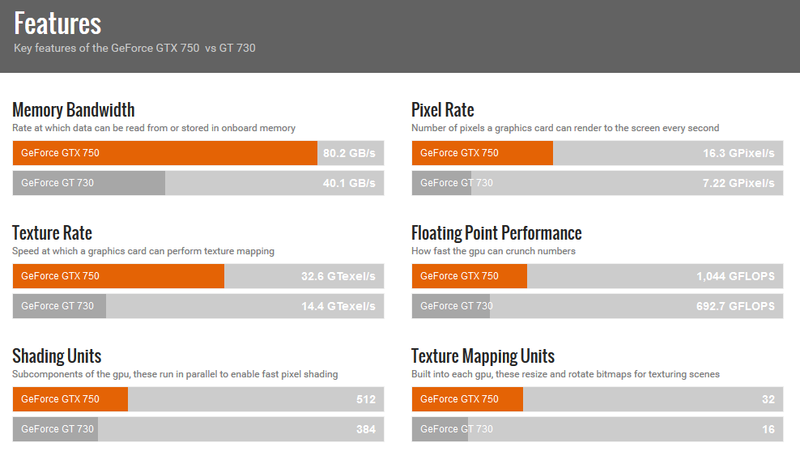 So yes, AMD cards are generally better optimized than Nvidia ones. Oh alright, so If I actually change my GPU back to 750 GTX it would be good, at least I can play the game. Thank you guys for helping me, really appreciate it. I’m still having problems with wide screen and regular full screen. I can only play the game in exclusive full screen and I cannot run my OBS for streaming in exclusive full screen.